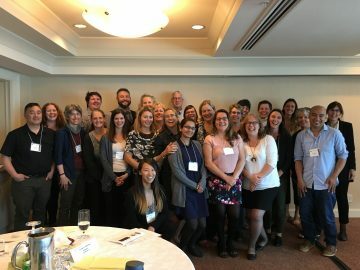 The 1A Community Symposium held on June 15th in Richmond, BC, is the first time rural maternity care providers and administrators from 1A sites (no local caesarian sections) across B.C. met to network, share what is working, and identify common, systemic problems that challenge maternity care sustainability. The community-focused day provided an opportunity to document and ratify the system supports needed from a rural provider and administrator perspective and thereby provide a framework that can be used to reinforce rural maternity services. The symposium discussion sessions focused on understanding current problems and seeking creative solutions and ‘asks’ that will improve their current situation. The respective professions were grouped together at times to share and learn from each other. Throughout the day, a growing articulation of the rural maternity voices in the room became stronger as they united on shared priorities. This work builds on the growing literature on both rural women’s experiences of and desire for maternity care and the BC, Canadian and international literature on the safety of such services. It also aligns with Canada’s Truth and Reconciliation Commission findings which provide a context for understanding Indigenous repatriation of birth as part of the reconciliation process.